'ControllerDigital' this is function block and associated graphic that turns ON and OFF pumps as required. This is a bespoke solution to solve the requirements on the site, but was generated with sufficient flexibility so that it could be used elsewhere ( and indeed was - around the site ). 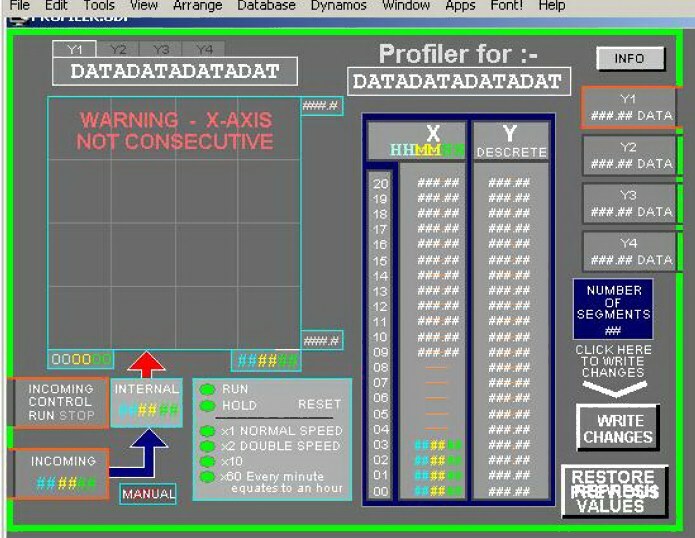 Below is the top end / the SCADA faceplate of the Linear Characteristic block that I configured for the FIX32 system to work with the 'more-or-less' standard 4mation LinChr function block. 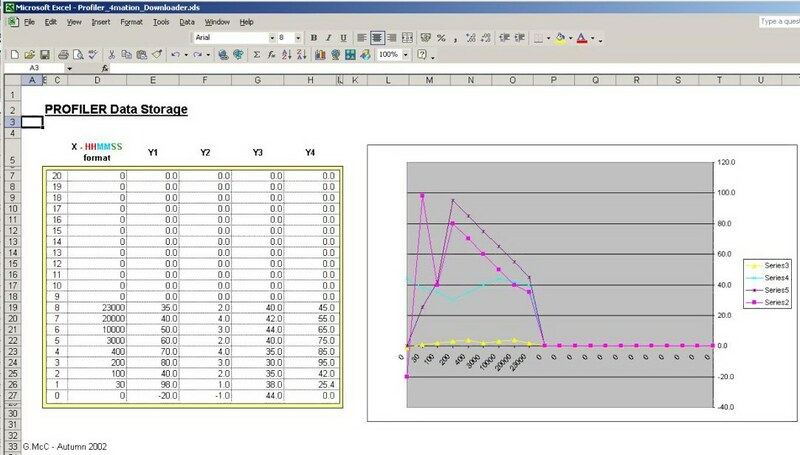 This function block allows for the editing of the profile and being able to assess the implications of the proposed changes ( including changing the number of segments of the profile ) before downloading all the parameters at once. I am currently working on a Profiler block that has TIME as the X axis and multiple Y outputs. This enables a number of different parameters to be profiled in time. This block is trying to be all things to all people and thus is very complicated to explain in a few simple lines. The X-axis is in the form HHHMMSS ( H - Hour is the highest demonimator ) and can either be driven externally to this block or the block itself can generate it's own time function. There are so many different modes that it is a bit too confusing to describe all the modes - Best to just look at the graphics and ask questions later. Like a lot of the Function blocks that I develop they have an equivalent EXCEL spreadsheet that can be used as the source of the information. 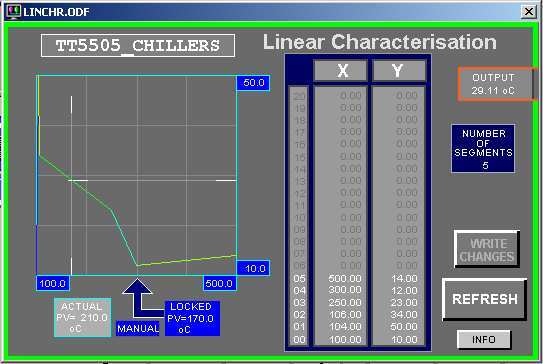 I am generating this block in my own time but realise now that had this block been available when I was working for Kelco during their fermenter profiling it would have made the control much easier and made all the bespoke graphics that I generated redundant.